Happy weekend everyone! I hope you aren't all busy with report writing, school work, planning and organising (although I know a lot of you are!). Recently, I was contacted by RIC Publications with the fantastic offer to review some of their books. I have been a HUGE fan of RIC books for quite some time so I jumped at the chance! I responded with a YES, YES, PLEASE, PLEASE and within a few days I received this great pack of books! 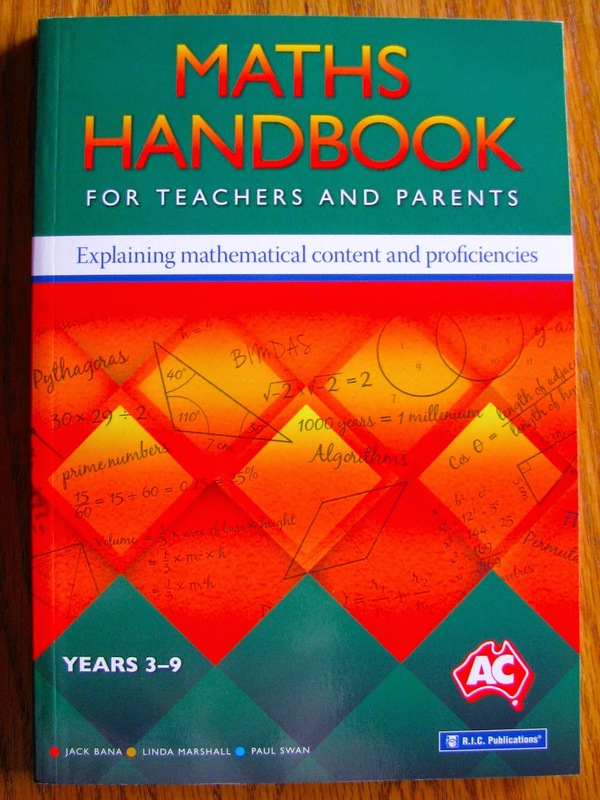 The first book I looked at was the Maths Handbook For Teachers and Parents. I was immediately drawn to this book because one of the author's is Paul Swan. 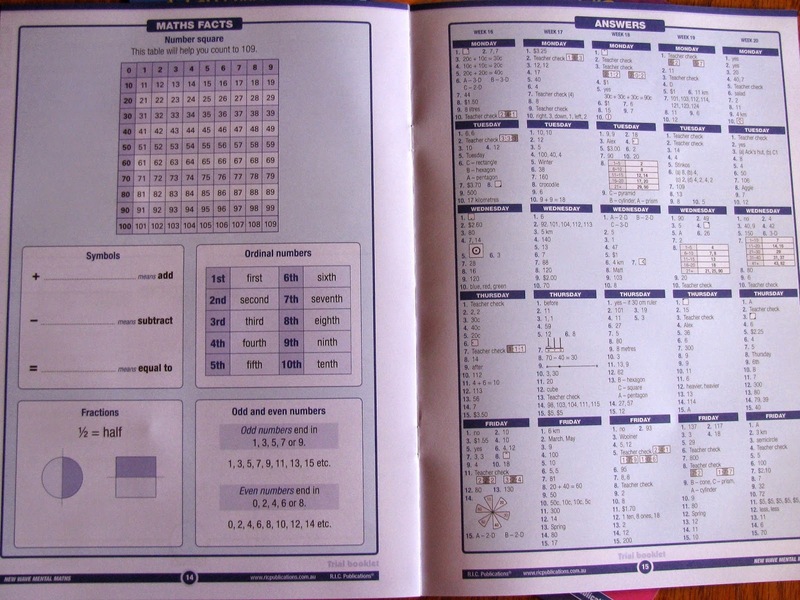 I can honestly say, that Paul Swan's Maths Games books are some of the most used teacher resources I have. I was introduced to them at the MAV conference when I first started teaching and even went to the US and back again with me! 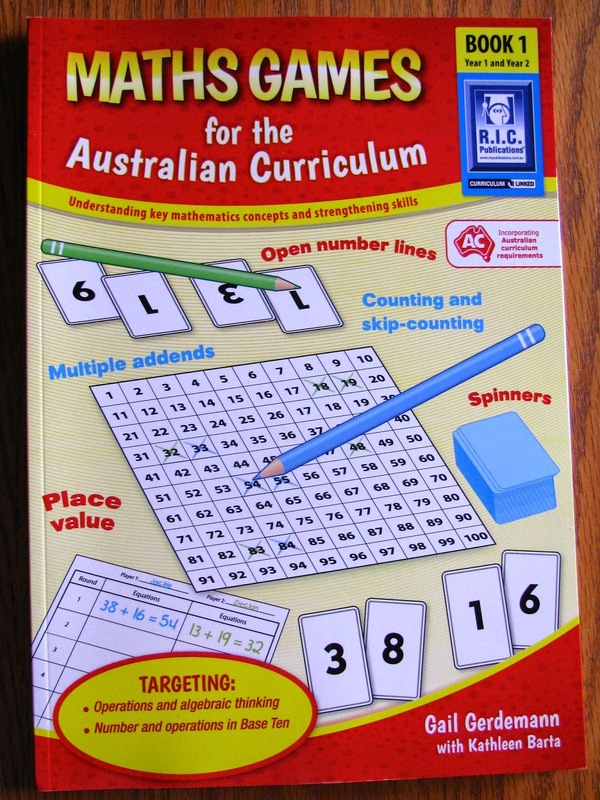 This book focuses on the Australian Maths Curriculum in Grades 3 to 9. It is the perfect addition to any teachers or parents library. 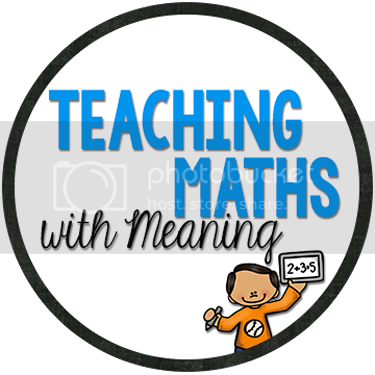 It covers all areas of maths with simple explanation, some background information on the topic and ideas to help you teach the children the concept. One of the best things is that it includes the correct wording! Teaching children the correct wording right from the start is of great benefit to their Maths career! There is a detailed index meaning you can find your answer quickly. Overall this text is a comprehensive, easy, reference that is very teacher friendly! I LOVE that you find you answers quickly and easily, without having to read to a whole chapter! Would I use it? Yes! At only $24.95 it is definitely the cheapest I have seen. 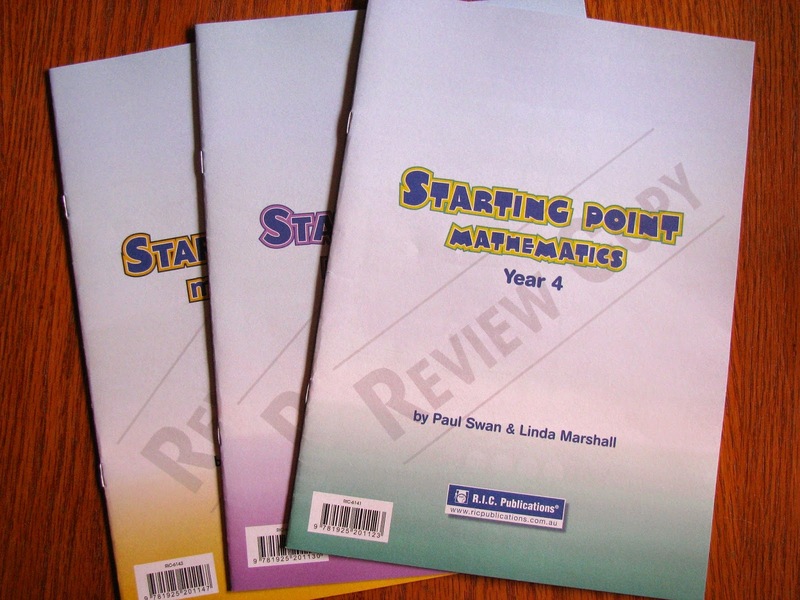 The second lot of books I looked at was this series called Starting Point Mathematics. These bright and colourful booklets are designed to be used at the start of the school year to give teachers a head start on their understanding of where individuals in their class are at with basic maths concepts. Do I like the idea of these booklets - yes, definitely! 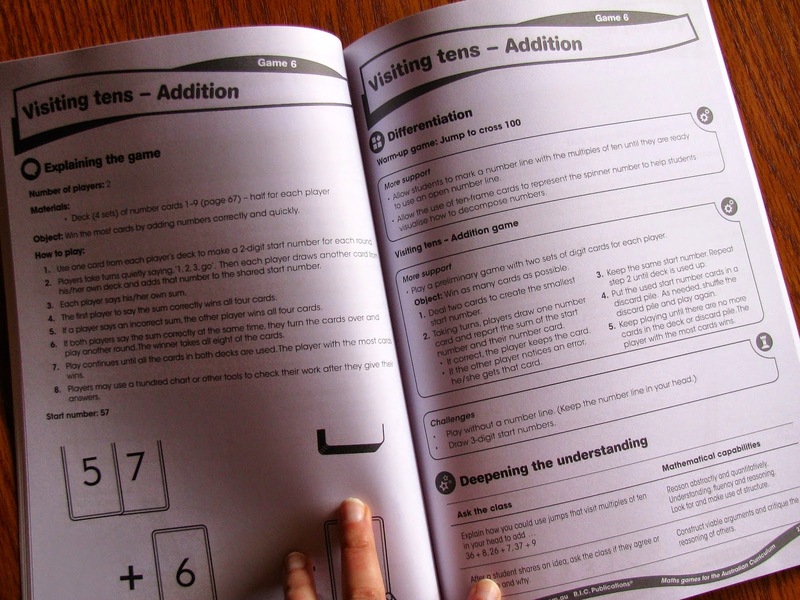 At $32.50 for 10 copies, they booklets would be needed to be organised ahead of time and allocated as a priority from the Numeracy team so the budget can cover the cost accordingly. I was very excited to explore the third book I picked up. 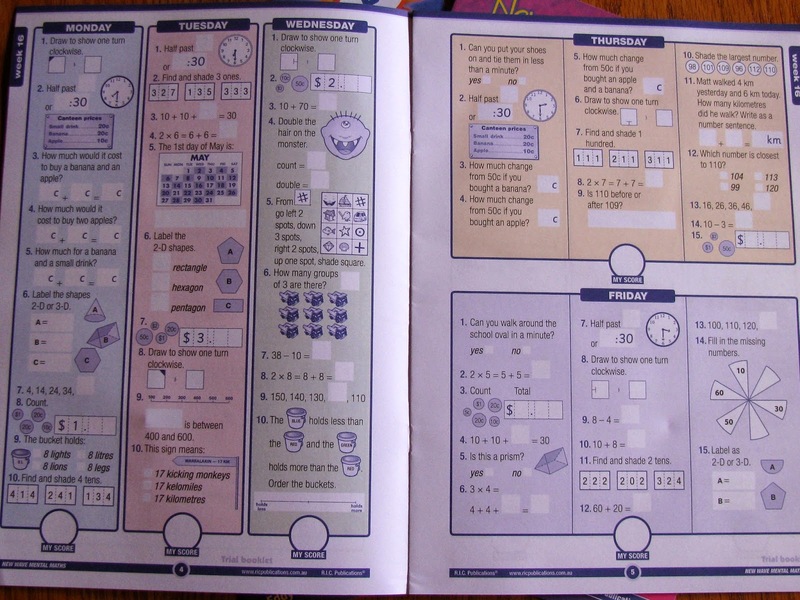 I love playing maths games and am always looking for new and great ideas. Engaging children through playing maths games is a great way to teach concepts. This book covers Year 1 and Year 2 which is great for those schools operating as multi-age classrooms. 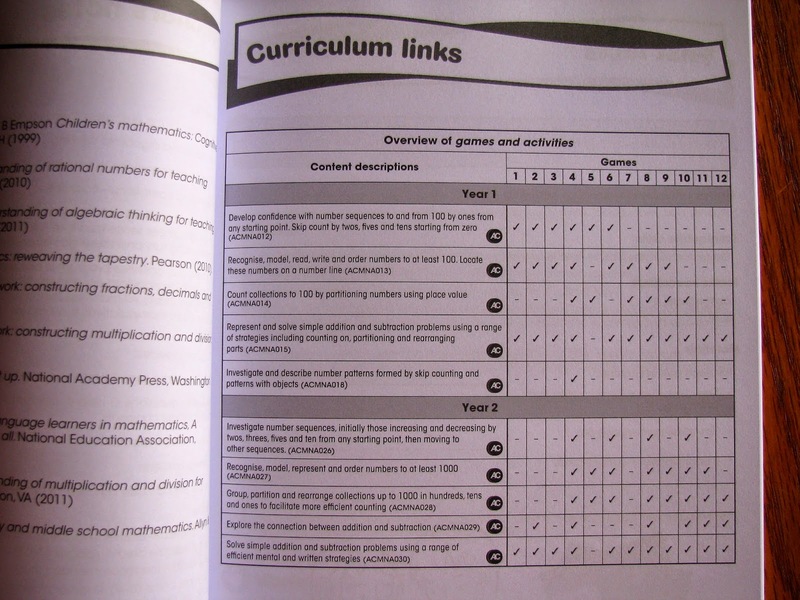 Firstly, each game has direct links to content descriptors in the Australian Curriculum, making it quick and simple to link into your planning. All games require limited resources. Number cards, number lines and tens frames. I have many of these resources already made up and laminated so I could play the games without extra preparation. However, for others who don't have these resources already made up, there are BLM's at the back of the book. Each game has background information (including what the children are learning from the game), warm up games, explaining of the game (and playing) as well as differentiation and deepening the understanding. If you are a regular reader of my blog you will know that I love differentiation, especially when it is a simple change to the game. Would I recommend this book - definitely! Would I use this book - definitely! So many great ideas! The final set of books I was set were the New Wave Mental Maths books. I love it when I get to review something that I have used and loved in the past! These books are $11.95 each and when I taught Grade 3, we built these into the price of our booklist. Each child arrived to school on the first day of the year with a brand new book waiting for them as well as their usual grid book and exercise books. My Grade 3 team were a huge advocate of daily mental maths practise. Short sharp daily practise of basic skills such as fractions, time, money, shape and number meant these books were so easy to introduce into the classroom. 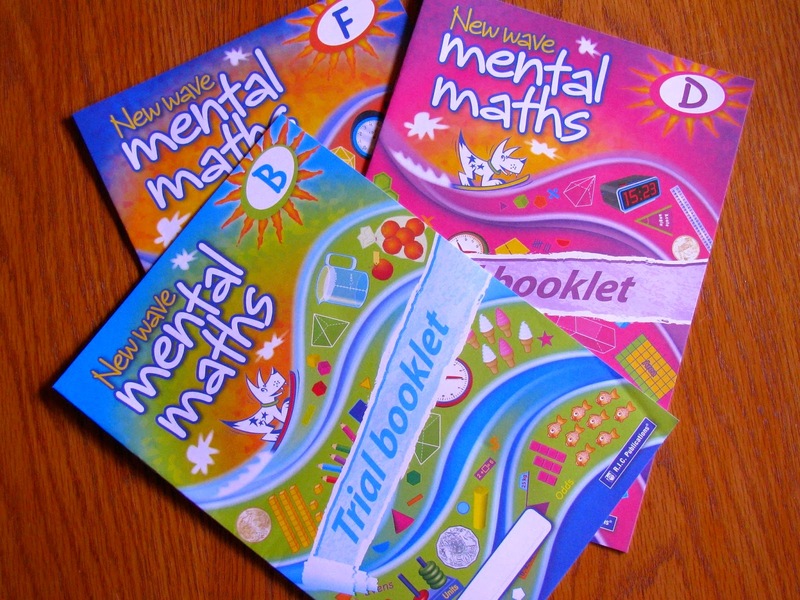 I will admit, because we used these books as the first activity children did when they came in after recess, our Maths lessons were usually 80 minutes, by the time we did our mental maths, corrected it, discussed any confusions and then headed into our lesson. Not that there is anything wrong with that though! 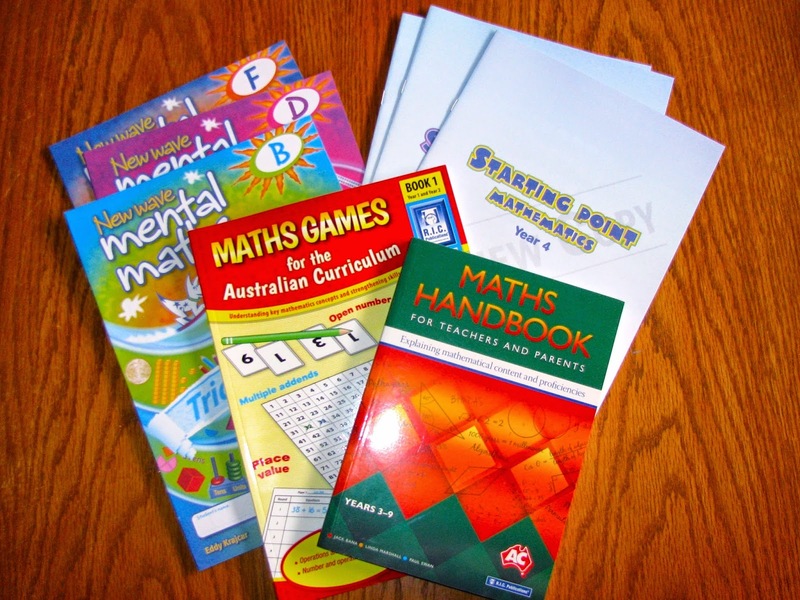 These books are aligned to the Australian Curriculum and contain the same wording and types of questions as are found in our Naplan testing. They were also great for reporting. 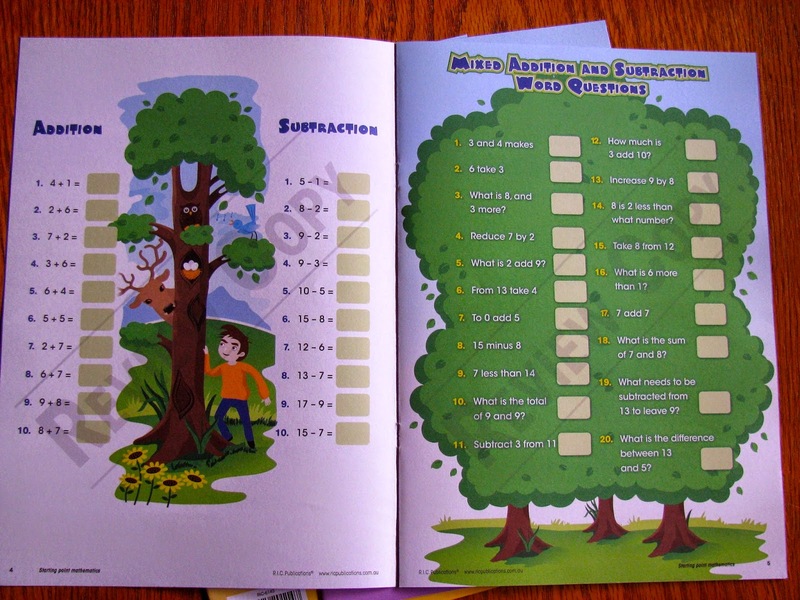 Each week is a double page making it easy for children to look back across the week if they are unsure about a question. Many times, children remembered when we had discussed the type of problem yesterday and were able to figure it out! 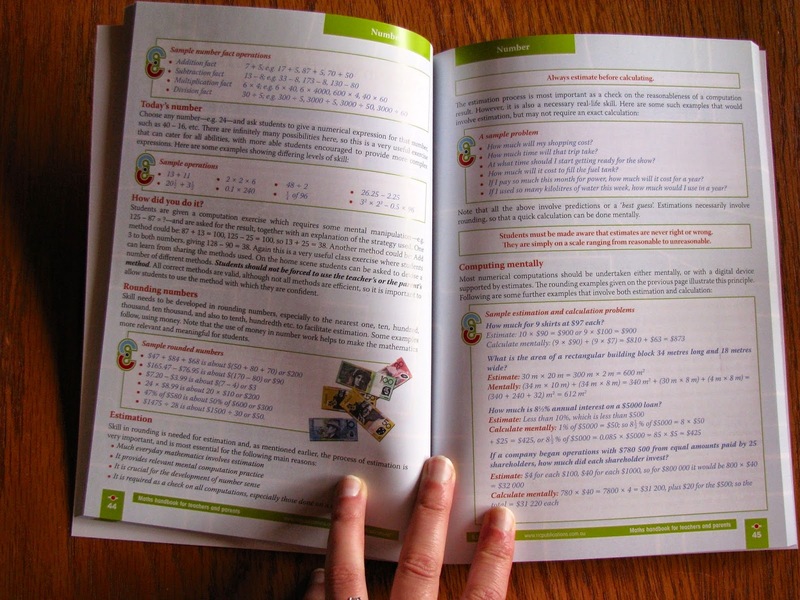 At the end of the book are some great resources that children had earmarked (such as shapes, timetables tables and conversion charts) as well as answers. I never had problems with children flipping to the back to copy answers. In fact, we only used the answers if there were differences in answers between students and teacher. Would I use it? Yes, I already have! Did I love it? Yes! Was it of great benefit to my classroom? Yes, definitely - children need daily practice! RIC have continued not to disappoint with creating high quality resources. In the day of digital teaching resources, it is tempting to get all your answers online, but nothing beats a great book! Especially ones that don't require any preparation or photocopying by the teacher! Thank you for this opportunity RIC! ]Click on the photo of the front cover to be taken directly to the RIC website so you can see about ordering you own copy! Enjoy the rest of the weekend readers!